Motorcycle accidents in Boston are a huge problem, killing and injuring four times as many people as bicycle accidents on our roadways in 2008. Nationally, motorcycle fatalities have more than doubled in recent years, according to the National Highway Traffic Safety Administration. 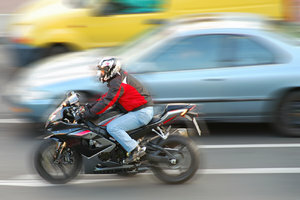 Our Boston motorcycle accident attorneys are including this as the second in our nine-part series on Boston Road Safety.